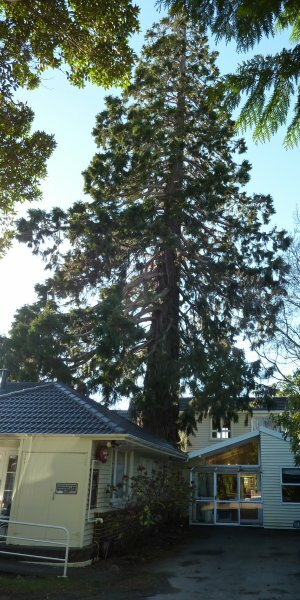 This formerly protected tree (T1073) was removed on the 17 July 2014 following approval by Dunedin City Council of an application for consent to remove it from the District Plan. 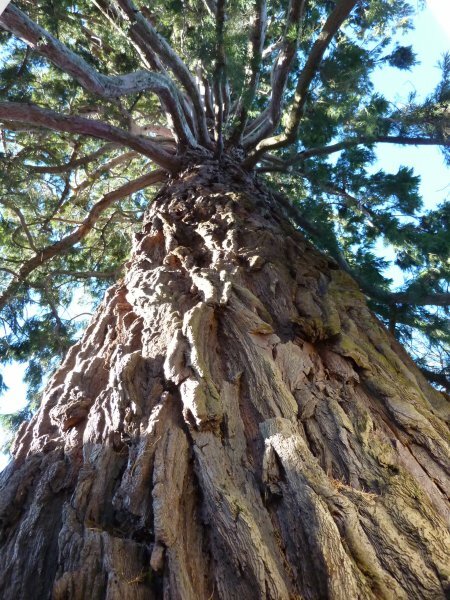 Twenty-five years ago the tree was fully enclosed within a courtyard and here was some concern of the long term effect the development has had on the tree. 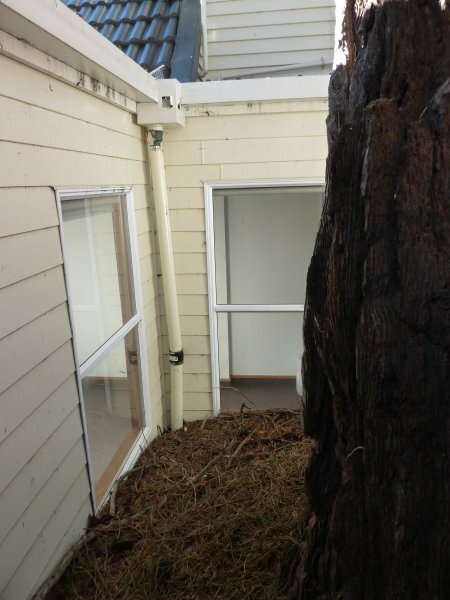 Current landowners were now experiencing problems living beneath the tree. geometry of 45º triangle (1x1x√2), then running a tape measure. 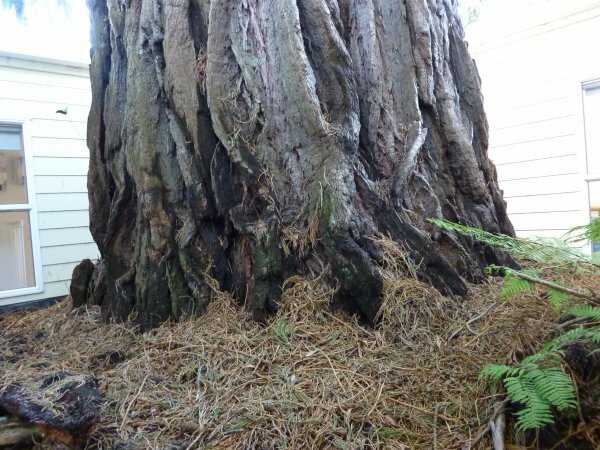 The tree appeared to be in good health. 20 Jul 2014 Waymouth, P.
Formerly located within the courtyard of this complex.